This isn't a big deal. Let's be clear on that. But it is a nice touch, the kind of nice touch that reminds you there are sometimes real, actual humans involved in the video game supply chain. 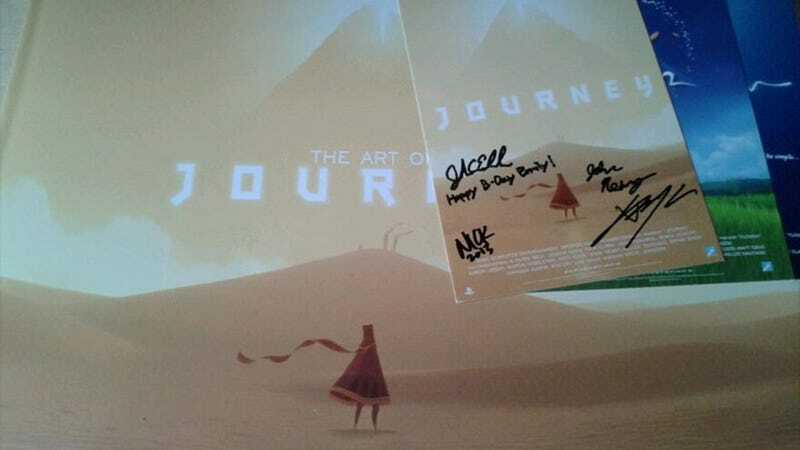 Reader Kelsey bought a copy of the Journey artbook for his girlfriend's birthday, and figured he'd try his luck at emailing the developers to see if they could sign something for her, since she's such a fan of the game. Which they did. Birthday greetings and all. Awww.